How I cut my energy bill by £528 - Moneyhome.co.uk - The Best Moneysaving Blog ever! But there is no need to suffer in silence. Simple steps can cut hundreds of pounds off annual fuel costs. I know because I have. In May, I realised my home was extremely energy inefficient. But eight months on, my gas bills have been cut from £69 a month to £25 a month – a saving of £528 a year. In this, the third update in my year-long quest to cut my energy costs, I’ve also managed to reduce the amount of electricity we use with energy-saving gadgets, and cut back on our gas consumption by battening down the hatches with loft insulation, wooden blinds and adhesive foam tape. And I even managed to grab a few freebies and take advantage of cashback offers along the way. When we bought our house just over a year ago, I signed up for dual fuel with British Gas for its cheapest tariff, but 10 months later, I noticed the energy provider had brought out a much more competitive deal. Many people wrongly assume that you must wait at least a year before you change tariffs, when in reality you could easily switch every six weeks, ensuring you are always on the cheapest deal. But remember to double check that you will not be charged hefty exit fees. Before I switched, I took a few minutes to see if there were any incentives or freebies if I used a switching service. I was pleased to see that by switching through uSwitch.com via Moneysavingexpert.com, I was able to get 12 bottles of Virgin wine, which was conveniently delivered just in time for Christmas. There are loads of freebies available when you switch energy providers. 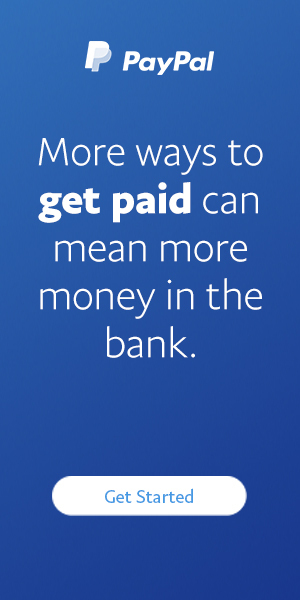 For example, you can earn £30 cash back from Moneysupermarket.com or the choice of £35 to spend at Amazon or John Lewis vouchers from SimplySwitch.com, provided you visit the websites through Moneysavingexpert.com first. Or simply switch dual fuel tariffs through Confused.com via cashback website Quidco.com and you could earn £24. But remember, while it may seem logical that dual fuel should be cheaper, that is not always true. Always make sure when shopping around that you compare the cost of dual fuel with the price of separate gas and electricity tariffs. Add to your savings and sign up for separate gas and electricity through uSwitch via Quidco and earn £23 for each one, meaning £46 cash back. Over the past few months, I have been submitting regular meter readings for my gas and electricity with a British Gas application that I have downloaded on my mobile phone. Free to download, the application also has a handy illustrated guide on how to read various types of meters. Less than a quarter of people make sure that their bills are correct by double-checking them against meter readings and previous energy bills, according to uSwitch, the price comparison website. If your gas and electricity meters are not read regularly, bills based on estimated readings mean you could pay for more gas or electricity than you actually use. And more importantly, if you do not submit your own meter readings, you will not be entitled to a refund should you find you have overpaid. People normally assume that it’s the big electrical items in the home such as plasma televisions and computers that burn the most electricity, but it is smaller devices that are the worst culprits. For instance, according to research by Tesco Compare, heated towel rails can cost about £10 per month to heat; while leaving the coffee machine on standby could add about £10 to your monthly electricity bill. Another way to avoid unnecessary energy costs is by unplugging mobile phones. More than 9m households charge up their gadgets overnight, with 22m needlessly charged every day. Thinking about how both my partner, Gareth, and I charge our mobiles overnight made me consider all the other ways that we are wasting energy. I visited the Ethical Superstore (www.ethicalsuperstore.com),a website overflowing with more than 4,500 environmentally friendly gadgets, and became inspired. One mistake we often make is leaving the laptop plugged in and charging, but this shop had the answer. 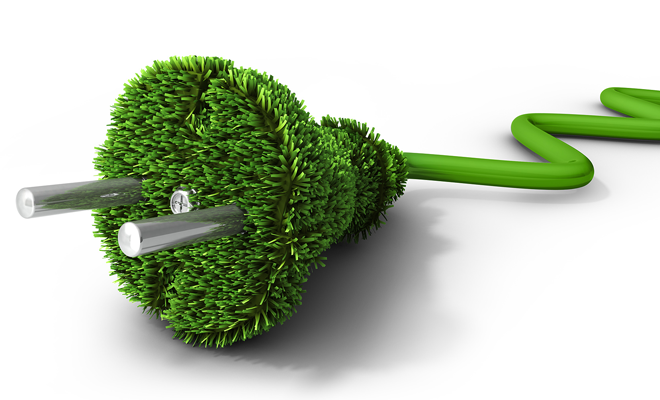 Most home computers and laptops feature a little-known setting known as ”eco mode”, which places the machine into an energy-saving state, without losing data. With the Ecobutton, £14.95, you press a button to activate your computer’s eco mode. When you are ready to start work again, press the button and your machine will be instantly reactivated at the same place you left off. There’s an additional bonus, each time your computer is put into eco mode, the ecobutton software records how many carbon units and how much power and money you have saved by using the ecobutton. When I started this mission in May to cut energy costs, we began using an OWL electricity monitor to watch our usage. But now, this addictive gadget goes one step further and will send all the information such as cost, kilowatts and carbon dioxide emissions, straight to your computer. The software is simple to use and creates an easy-to-understand picture of your electricity consumption. It can build graphs, charts, make comparisons over specific periods and helps you to set electricity-saving targets and track progress. The OWL USB Connect will work with all the OWL electricity monitors and costs £17.95. British households are estimated to spend about 8pc of their electricity bill just powering appliances on standby, according to research by the Energy Saving Trust. I had a look around my house and counted at least five appliances that I had been leaving on standby every day. So now I plug in the television, DVD player, set top box and stereo into an OWL Multi-Socket Power Saver Strip and make sure that when I leave the house or go to bed I turn off everything with the remote control. There are two versions of the four-socket system with remote available. The Power Saver Strip with Individual Socket Remote Control (£23.99) allows the user to turn off each appliance one by one with a corresponding button on the remote, whereas the All On/All Off Remote version (£15.99) will turn all appliances off with a single button. The former comes in handy if you wanted to leave just the set top box on to record something while you were out, for example. The range of OWL sockets and remotes available means that you can build your own electricity-saving system according to where you need to manage usage and minimise standby time. 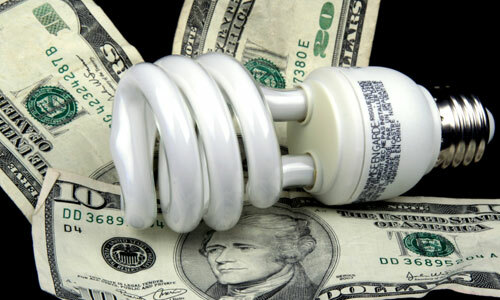 To get an idea of how much you could save by pulling the plug on gadgets and switching off standby, see the energy savings calculator (www.energysavings calculator.com). After I looked at all the wasted electricity indoors, it was time to look outside. Starting in the front garden, I replaced the small spot lights that used to illuminate some of our shrubs with a set of Viva Solar Spotlights from B&Q. These lights retail at £42.95, but will last for years and can easily be freshened up by replacing the rechargeable battery inside. All solar lights at B&Q (www.diy.com) are currently on sale at 15pc off. Looking in the back garden, the shed light and motion light by the back gate could also be replaced with solar-powered lights. We now don’t have to worry about leaving the shed light on and we installed the Eclipse Solar Shed Light (£11.03) from B&Q, which provides six hours of light once charged. Beware of thieves, however. Our solar lights were recently stolen – along with one of the shrubs they illuminated – in what must have been a case of nightlight robbery. The shrub has mysteriously returned, but the lights are still missing. To find the right solar light, look at www.mydeco.com. This website is like Google for homewares and will search more than 1,000 online shops in seconds. A quick search for solar lights returned 339 results at 18 different stores – 16 of which I had never even heard of before. With the coldest winter in decades upon us, I was so glad that I sought the advice of energy-saving specialists Ecocamel and draught-proofed our home before the cold set in at Christmas. Over the past few months we have installed two more wooden blinds in the kitchen and front guest bedroom to keep out the cold and we have be amazed at the difference in the room temperature. We ordered these made-to-measure window blinds fromwww.247blinds.co.uk and they cost £115 for the pair – much less than the cost at most high street stores. Because I bought them through the Quidco website, I even managed to earn 8pc cash back. According to the Energy Saving Trust, just draught-proofing your doors can save about £25 a year on heating bills. A quick trip to Homebase and we found draught-excluder strips for just £7.99 for the bottom of each external door and a roll of soft foam draught-proofing tape to stick around the door frame for £4.99. To find a Homebase near you, visitwww.homebase.co.uk. Or insulate your home cheaply and effectively with a cold-protection curtain from the Ethical Superstore. This ultra-thin heat-reflecting curtain, which costs £3.33, is easy to hang on a curtain rail or tensioned cord, and can be cut to size. Take a few minutes completing the online questionnaire atwww.energysavingtrust.org.uk and receive a personalised report showing you how much energy and money you can save in your home. If you would rather have a paper copy to complete, call 0800 512012 and speak to your local Energy Saving Trust advice centre. With just a little attention, creativity, and thoughtfulness and you’ve got some play money! Ha! All wonderful ideas. Thank you so much as I will be implementing many of them.